As many of you may have heard, someone dressed as an ultra-Orthodox Jew stabbed six people at a gay pride parade in Jerusalem on Thursday. The 'man,' Yishai Schlissel, did the same thing ten years ago, and was recently released from prison for that crime. Unfortunately, this time, he managed to murder someone. 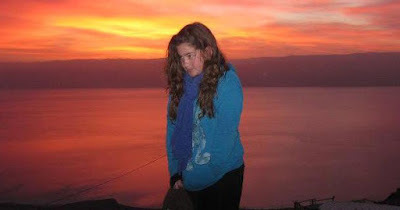 16-year old Shira Banki (pictured above) passed away today. The letter below was written by Rabbi Ron Yitzchak Eisenman of Passaic, New Jersey, who studied with me in yeshiva 35 years ago. I think it sums up pretty well how we ought to look at and feel about this incident (Hat Tip: Mrs. Carl).